Sarah Horne Botanicals is a Leamington Spa-based florist and illustrator with a huge range of flowers, candles, illustrations and other gifts on offer. 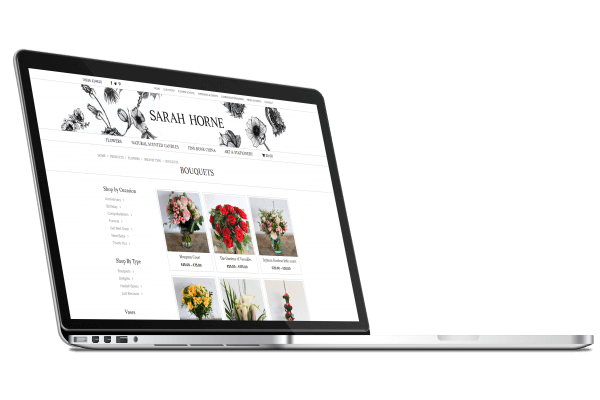 The website needed to reflect Sarah’s unique style and make full use of the stunning product images. The custom theme from Bright White Space gives products a large image prominently displayed on each page along with a gallery. The site is easy to browse via different categories showing the full range of products available. And for the business, the hundreds of different products and combinations is easy to manage with WooCommerce. Image-heavy ecommerce websites are especially important to get right on mobile. Shoppers are increasingly browsing using their phones or tablets, at home or on the go and ecommerce websites have to be responsive to take advantage of that. 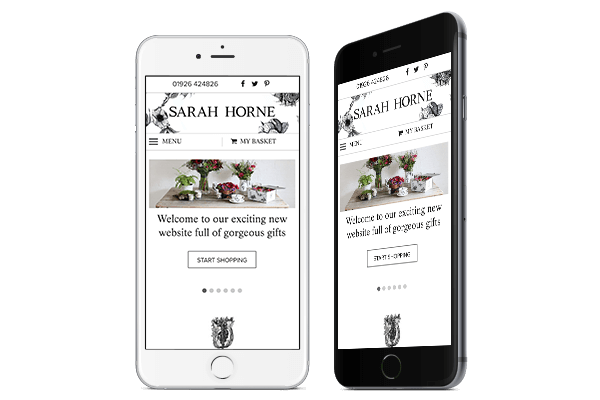 Here on Sarah Horne Botanicals the page layouts look great from the largest to the smallest screens even with large amounts of images. Browsing is also frustration-free for the website visitor with completely responsive grid layouts. 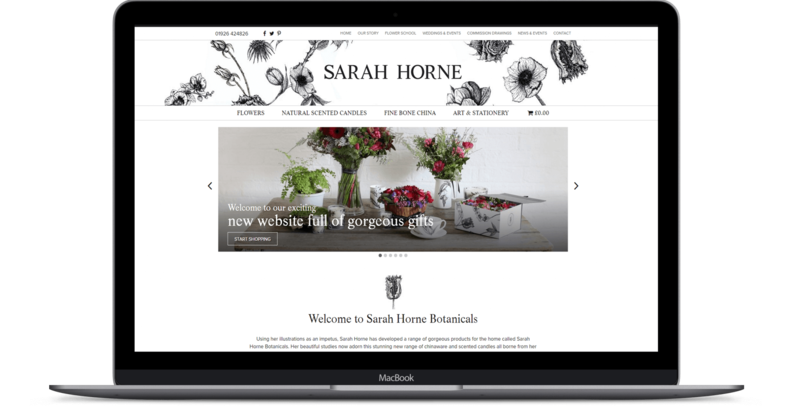 There are some unique features to take into account for ecommerce websites that came into play for the Sarah Horne Botanicals site. Organising products into categories to browse and for internal searches needs to work for SEO as well as website visitors. Product pages need to be clearly laid out and easy to customise for the business and for the customer. Using the great product images we were able to put together vibrant product galleries and category pages to improve the user experience. WooCommerce run on the WordPress content management system is an incredibly popular choice for ecommerce sites. Capable of handling thousands of products and variations it is a powerful framework that is also very easy to use. Combining traditional website pages, category pages, a blog and product pages it offers the perfect set of tools for an ecommerce site. It’s easy for the site owners to add new products, alter prices or other features, show product galleries and much more.